Meet the ponies of the magical land of Equestria, and bring your favourite ponies to life through the power of Digital Magic on your smartphone or tablet! See Princess Twilight Sparkle and her friends like you’ve never seen them before in the only Augmented Reality character guidebook for the world of Hasbro’s smash-hit animated series, My Little Pony: Friendship is Magic. 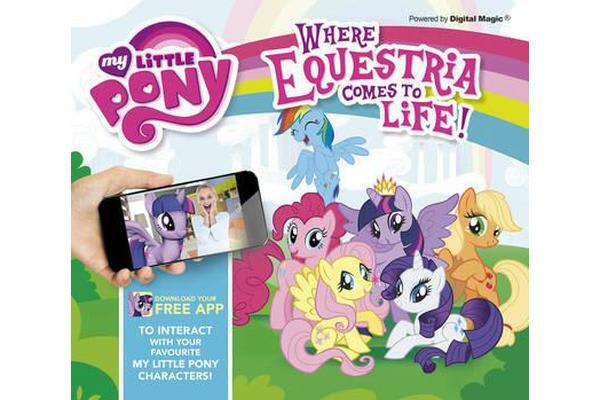 Watch and interact with your favourite ponies as they grow to their true size right before your eyes, or you can connect to a friend’s device and have your ponies take a stroll together. Don’t forget to customize your pony and watch in amazement as Augmented Reality brings your unique design to life. Pony power!